The main difference between Half Marathon Intermediate 1 and Intermediate 2 is that this program (Intermediate 2) features one day of speedwork. Intermediate 1 & 2 exist parallel to one another in different universes, like the Earth 1 and Earth 2 of comic book lingo. Mondays are for cross training, starting at 30 minutes, peaking at 1 hour in Week 11, one week out from your half marathon race. Tuesdays and Thursdays are easy days: 3-5 miles. In between on Wednesdays, you do speedwork, alternating tempo runs with interval training on the track. Fridays are rest days leading to some pace running on Saturdays and long runs on Sundays, starting at 5 miles, peaking at 12 miles one week before the half marathon. Half Intermediate 2, make no mistake, is for experienced runners: individuals who have left their Novice roots behind and who want to improve their performance. 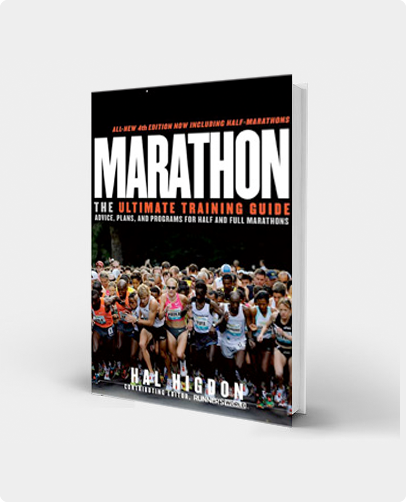 With the publication of Hal Higdon’s Half Marathon Training, I added a new intermediate schedule. Previously, there was only one, titled “Intermediate.” Now there are two: “Intermediate 1” and “Intermediate 2.” The difference is that Intermediate 1 is an endurance-based program; Intermediate 2 is a speed-based program. These two intermediate schedules exist in a parallel universe, the same level of difficulty. They are part of the logical progression upward from Novice through Intermediate to Advanced. Here is how to use Intermediate 2 to run your best half marathon. The terms used in the training chart are somewhat obvious, but let me explain what I mean anyway. Further information is included in my interactive training programs available through TrainingPeaks, where I send you daily emails telling you what to run and how to train. Easy Runs: The runs on Tuesdays and Thursdays and sometimes Saturdays are designed to be done at a comfortable pace. Don’t worry about how fast you run these workouts. Run easy! If training with a friend, you should be able to hold a conversation. For those wearing heart rate monitors, your target zone should be between 65 and 75 percent of your maximum pulse rate. Distance: The training schedule dictates workouts at distances, from 3 to 12 miles. Don’t worry about running precisely those distances, but you should come close. Pick a course through the neighborhood, or in some scenic area where you think you might enjoy running. Or talk to other runners. They probably can point you to some accurately measured courses for your workouts. Stretch & Strength: It’s wise to stretch every day, particularly after you finish your run. And don’t forget to stretch while warming up for your hard runs on Wednesdays. Strength training could consist of push-ups, pull-ups, use of free weights or working out with various machines at a health club. Runners generally benefit if they combine light weights with a high number of repetitions, rather than pumping very heavy iron. Rest: Rest is as important as the runs. You will be able to run the long runs on the weekend better–and limit your risk of injury–if you rest before, and rest after. Be realistic about your fatigue level–particularly in the closing weeks of the program–and don’t be afraid to take an extra day off now and then. Long Runs: The key to getting ready to finish a half marathon is the long run, progressively increasing in distance each weekend. Over a period of 11 weeks, your longest run will increase from 5 to 12 miles. And in the final week, you get to run 13.1 miles in the race itself. The schedule below suggests doing your long runs on Sundays. You can do them Saturdays, if more convenient, but it is easier to do a long run the day after a pace run, than the day beforea. Run Slow: Run your long runs at an easy pace. Normally I suggest 30 – 90 seconds or more slower than your race pace. Yes, I know you can run faster than race pace, at least at the shorter distances, but as the race date approaches this will become more and more difficult. To avoid overtraining, treat your long runs like a stroll in the park. Walking: Walking is an excellent exercise that a lot of runners overlook. I don’t specify walking breaks, but feel free to walk during your running workouts any time you feel tired or need to shift gears. In coaching marathon runners, I usually recommend that they walk through the aid stations to allow them to drink more. Racing: Most experienced runners enjoy racing, so I’ve included three races during the training period: one every third week, building from 5-K to 10-K to 15-K. There is nothing magic about those particular distances. Plug in whatever races look interesting from your local area wherever they fit in your schedule. You can use races to test your fitness and predict your finishing time in the half marathon and what pace to run that race. Speedwork: If you want to run fast, you need to train at a fast pace several days a week. This training schedule for Intermediate 2 runners alternates interval running with Tempo Runs. An interval workout usually consists of fast repeats separated by walking or jogging (the actual “interval” between). The program begins with 5 x 400 meters in the first week and adds one more 400 every other week to reach 10 x 400 meters the week before your half marathon. Walk or jog during the interval between each repeat. The best place to run 400-meter repeats is on a track, although you can also use an accurately-measured road course. 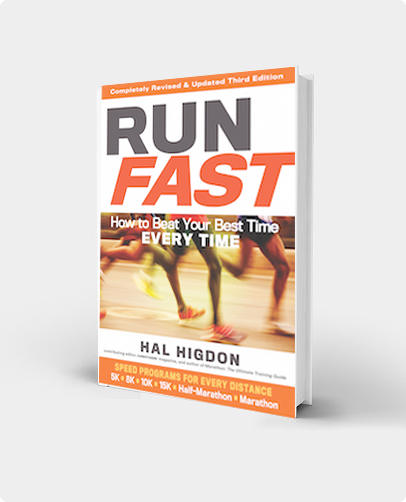 Run the 400s at about your pace for 5-K, or 10-K. For more information on speed training, see my book, Run Fast. Tempo Runs: This is a continuous run with a buildup in the middle to near 10-K race pace. 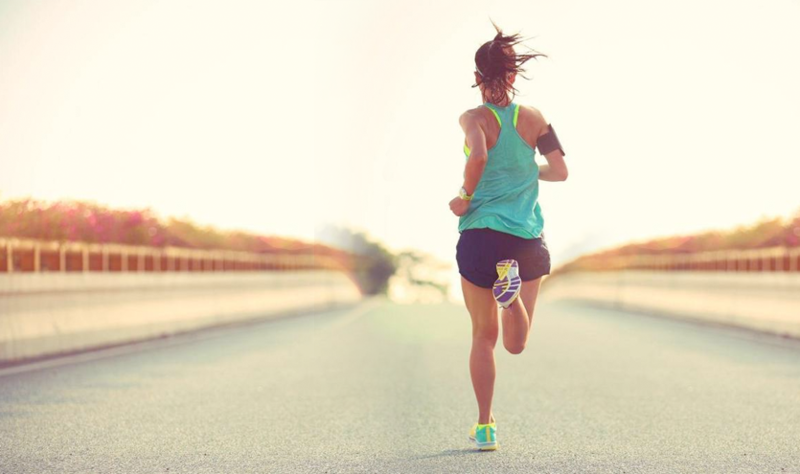 A Tempo Run of 30 to 45 minutes would begin with 10-15 minutes easy running, shifting smoothly into an acceleration of 15-20 minutes near the middle, then 5-10 minutes easy toward the end. The pace buildup should be gradual, not sudden, with peak speed coming about two-thirds into the workout. Hold that peak only for a minute or two. The times prescribed for Tempo Runs serve mainly as rough guidelines. Feel free to improvise. Improvisation is the heart of doing a Tempo Run correctly. Pace: A lot of runners look at my training schedules and ask, “What do you mean by ‘pace? '” I mean “race pace,” the pace at which you expect to run the half marathon. Some workouts are designed as pace runs to get you used to running the pace you will run in the race. In Week 10, for example, I ask you to do “5 m race pace.” You might want to do a short warm-up before starting each of these pace runs. Warm-up: Warming up is important, not only before the race itself, but before your speed workouts and pace runs. My usual warm-up is to jog a mile or two, sit down and stretch for 5-10 minutes, then run some easy strides (100 meters at near race pace). And I usually cool down afterwards by doing half the warm-up. Cross-Train: Mondays are for what I often identify as “dynamic rest.” In this case, cross-training. What form of cross-training works best? Something aerobic. It could be swimming, cycling, walking, cross-country skiing, snowshoeing, or even some combination that could include strength training. Don’t push too hard. Juggling: Don’t be afraid to juggle the workouts from day to day and week to week. If you have an important business meeting on Thursday, do that workout on Wednesday instead. If your family is going to be on vacation one week when you will have more or less time to train, adjust the schedule accordingly. If this means running hard on successive days, so be it. Program in an extra day of rest to compensate, when needed. Be consistent with your training, and the overall details won’t matter. Here is your Intermediate 2 half marathon training program. Also, consider signing up for the interactive program from TrainingPeaks for more detailed information on what to run each day and tips for your training. I’ve used this training program several times with success. Hope to read one of his books soon. This web site has always been a touchstone as I figure out my pacing and targets for races at all distances. Now I’m using one of the plans for the first time. It provides structure and info that helps me stay motivated and on schedule without overtraining, while also giving flexibility that enables me to juggle and to avoid over-stressing about a few differences of seconds, tenths of a meter, or timing stops at traffic lights on a regular run. I don’t use a Garmin or other device that does the timing or measurements for me, so not having to calculate those specifics quite so precisely is a relief. Very useful information about Half Marathon.